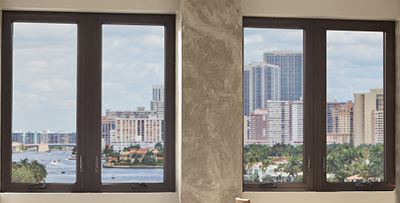 Our exclusive WinGuard® products combine heavy-duty window and door frames with impact-resistant laminated glass to ensure flying debris does not enter your home in the event of a major storm. A special silicone glazing process is used to keep the glass from breaking away from its frame. 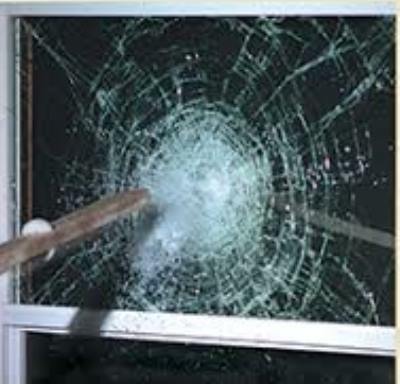 Although wind-borne debris may crack the glass on impact, the interlayer keeps the overall window intact, preventing destructive wind from entering your home. WinGuard with vinyl frames meets or exceeds International Building Code standards for air/water/structural and small and large missile impact protection and has Florida State Product Approval. Now there’s no need for inconvenient, unsightly panel, accordion or rolldown shutters, plywood or other hurricane protection devices. Even when you’re away, WinGuard Impact-Resistant Windows and Doors help guard your home effortlessly against hurricanes, improve energy efficiency and so much more. 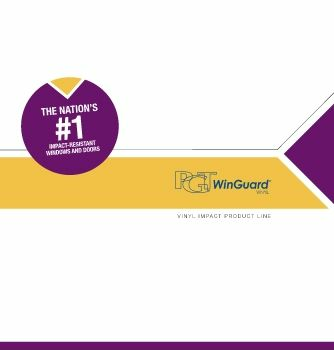 PGT’s complete line of WinGuard® Impact-Resistant Windows and Doors is engineered to meet hurricanes head on. What does this mean to you and your home? WinGuard can withstand impacts from flying debris, followed by hurricane-force winds and the glass will still remain in its frame. 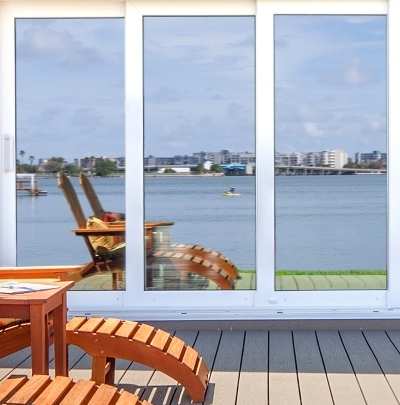 It’s effortless hurricane protection for your home. By filtering out 99% of UV rays, WinGuard helps shield your furniture, carpet, artwork and window treatments from the effects of fading caused by the sun. 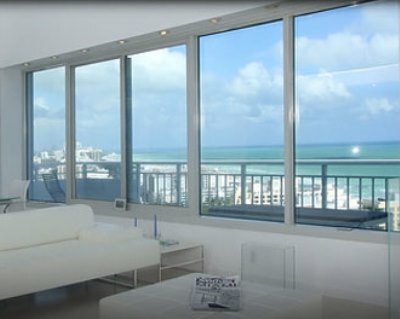 We also offer a variety of high-performance glass options that feature tints and Low-E coatings that help reduce solar heat gain, increase comfort and help you better manage energy costs. There are many ENERGY STAR® window and door configurations available. On Jan 1, 2013 the American Taxpayer Relief Act of 2012 was passed. This bill includes Energy Tax Extensions for replacement window and doors in primary residences thru December 31, 2013. The laminated glass in PGT WinGuard Impact-Resistant Windows and Doors absorbs sound rather than transmitting it, which helps to keep the world and its disruptions outside where they belong. In fact, the same type of glass is often used in airports and recording studios to significantly reduce ambient noise. The use of laminated instead of annealed glass can result in an additional perceived loudness reduction of approximately 30% for a standard mixture of aircraft, railroad and vehicular traffic noise. Breaking a window is the most common means of entry for an intruder. But with WinGuard, the same effortless protection that guards against hurricane damage also deters intruders. While normal windows shatter easily upon contact, the durability of WinGuard keeps windows in one piece. Whether it be a major storm or an attempted break in, WinGuard helps keep you, your family and your home safe 24 hours a day, 365 days a year.